Maxim deli style slicer for your home. 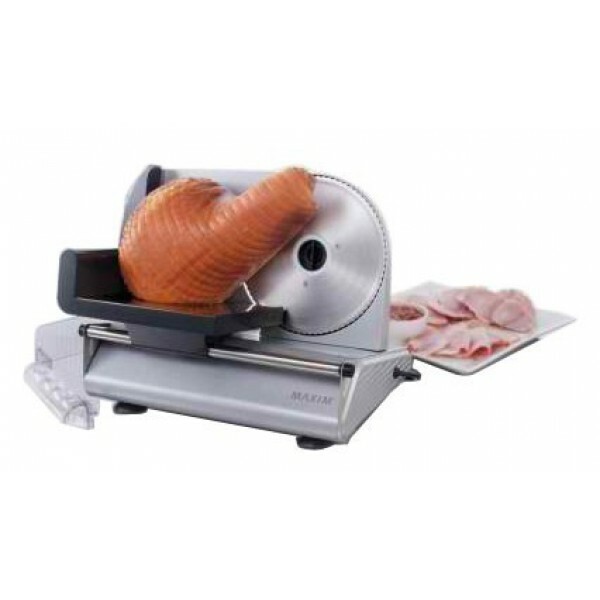 Slice your favourite deli meats, cheeses, fruits, bread and much more with the Maxim Food Slicer. Slices Meat, Cheese, Fruits, Vegetables, Bread. Thin or Thick Slices up to 15mm.